Having lost a whole Saturday trying to buy a bed, Charlie Marshall decided to make the process as quick and hassle free as possible. So two years, 187 mattress factories and some seriously comfy beds later, they were born in December 2008. It turned out there were a lot of you out there who liked what they were doing and they have since become one of the fastest-growing companies in the UK. 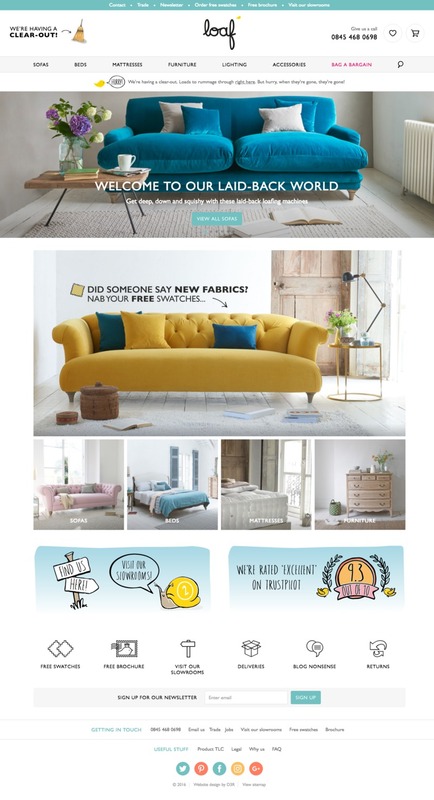 Loaf first approached us in 2009 to update and upgrade their previous website for the company then known as 'The Sleep Room'. 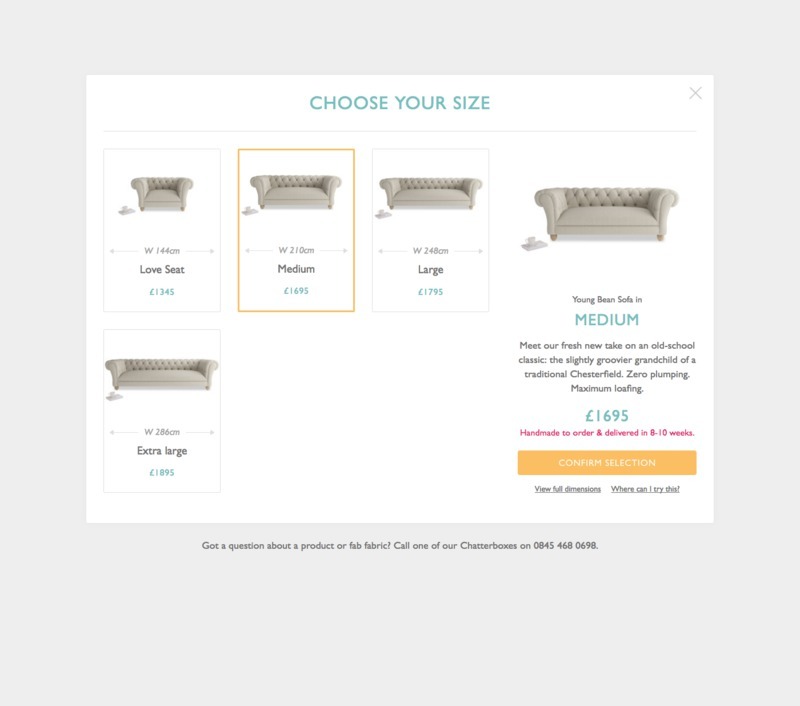 We spent a lot of time with Charlie learning about his business as well as solving the big issues; full CMS, seamless one page checkout and structured site for SEO we improved the purchasing process and told more of the brand story. As the product range extended to other rooms in the house a name change was natural. Being mindful of existing customers of The Sleep Room we used a variety of communications to ease the transition while the site structure adapted easily to increase in categories and products. 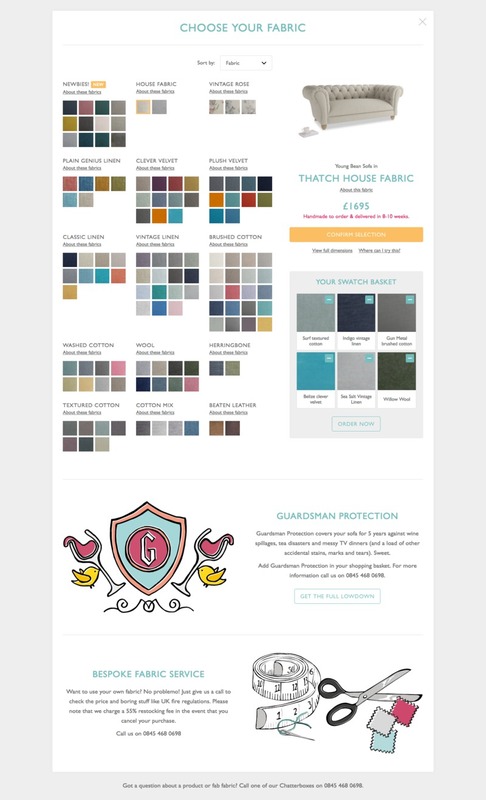 As a result of increasing their product range and quadrupling the fabric options, Loaf needed a quick and easy way to upload hundreds of products in thousands of colour ways. We created an image app which allowed them to bulk upload the images then automatically assigned them to the correct product. In addition to these site improvements D3R also optimised campaign structure and took control of the patchwork of systems creating one seamless system for everyone; uncomplicating the experience for sales, purchasing and delivery teams whilst leaving the customer experience untouched. The site was delivered on time, works brilliantly and is a huge improvement on where we were before. We love how the details matter as much to D3R as they do to us. Bespoke build dream bikes unique to every rider.